The move from physical to digital is happening faster than most analysts had predicted. A report from Games Industry shows that in some instances, triple-A console titles are seeing as much as 45 per cent of their sales being claimed by digital. 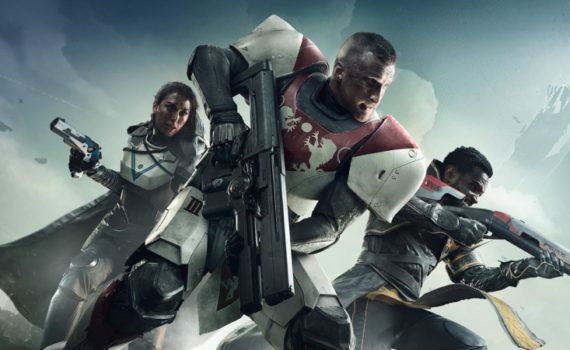 Indeed, Activision just yesterday revealed that digital sales of Destiny 2 on consoles accounted for over 50 per cent of its total, setting a new record for the company. EA CFO Blake Jorgensen also this week told investors that the company was “very pleased and a bit surprised” at the strength of digital downloads for both this year’s FIFA and Madden, adding that “it’s great to see the movement towards digital”. Digital is appealing to publishers – not only is a digital unit cheaper to produce than a physical one, but it cannot be traded in to potentially claim an otherwise new sale further down the line, for which the publisher would receive no money. Games Industry adds that while a number of big 2017 releases (such as FIFA 18, Forza Motorsport 2, Assassin’s Creed Origins and, indeed, Destiny 2) have reported annual unit sales drops in the physical-only UK charts, once the missing digital sales are factored in, many of these titles are actually up compared to their predecessors. Sources tell the site that retail’s insistence on selling games at or close to RRP is a crucial factor in the rapid change. With digital games now typically costing around the same as their boxed counterparts, consumers are starting to value the convenience they offer, even at the cost of lost trade-in potential.